At Dr. Greco’s Waimea, and Hilo offices we make every effort to provide you with the finest surgical care and the most convenient financial options. To accomplish this goal, we work hand in hand with you to maximize your insurance reimbursement for covered procedures. If you have any problems or questions, please ask our staff. They are well informed and up-to-date. 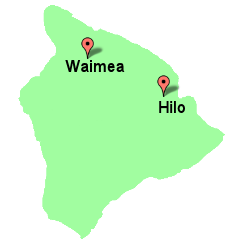 They can be reached by phone at 808-885-9000 at our Waimea office. Please call if you have any questions or concerns regarding your initial visit.